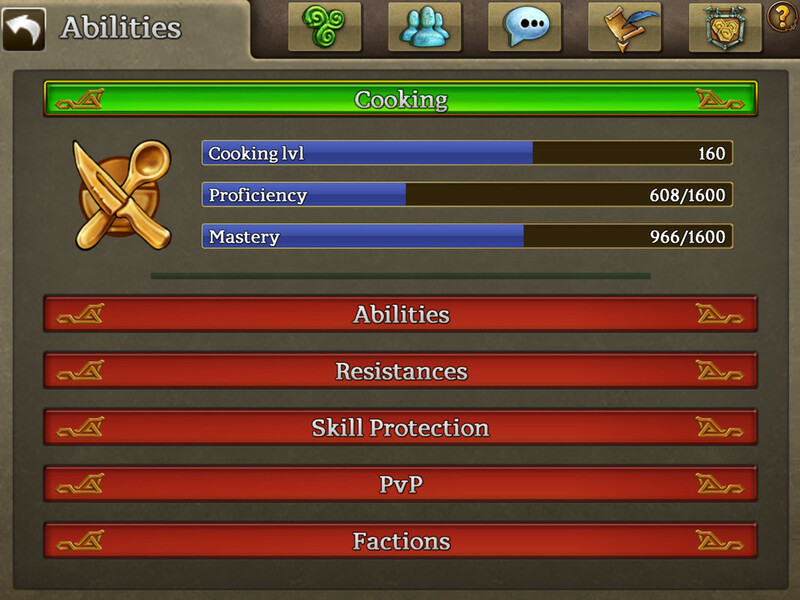 I'm currently in the 940ish range and it doesn't seem to matter what I cook, I cant get Mastery to raise even somewhat reliably. Even in late 800s I was getting like 25-35 mastery per wisdom lix. Now, very suddenly, I'm getting like 0-5... Is this normal or what am I doing wrong? I've tried gruel, scones, and harder recipes too. Nothing works. Unfortunately it is what it is, no short cuts. It’s a grind and a half. 900 it gets bad, 1400 or so it gets mega painful. I used gruel, always with wisdom and always with extract. Didn’t find that cooking anything higher made any difference, in fact it was worse. Gruel all the way. Stick with it, it won’t be fast but it’s immensely satisfying to churn out those exquisite fruit cakes. I found the key to be as high as possible yet trivial for the item. Watch the bar at bottom that says how hard it is, prior to using an extract. The Christmas treats are also a great way to increase both mastery and proficiency. Proficiency is still painfully slow. One of the treats, the MacLir gives scholar boost 1st level, treasure hunter boost 2nd level. 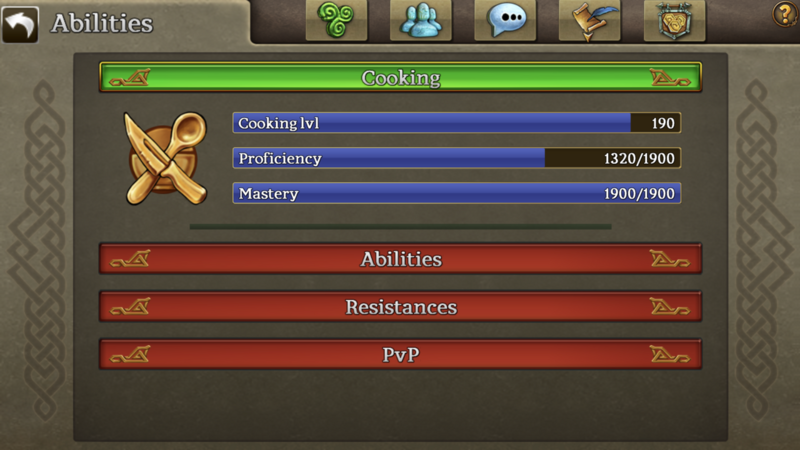 or 500 cooking mastery boost perfect. Does require the holiday spice. At least it's useful compared to the dreaded gruel. Still need to use extract to better the odds. Save the perfects for your high level culinary bosses foods. I cooked a bunch of maclirs and saved the perfects (chocolate gelebron) for cooking baras to test them out. There was NO noticeable positive effect in either exquisite or perfected baras. In fact I got more perfects without using the Chocolate Gelebron. My mastery is 1840. I think these things are a con. MrsDredd wrote: I cooked a bunch of maclirs and saved the perfects (chocolate gelebron) for cooking baras to test them out. There was NO noticeable positive effect in either exquisite or perfected baras. In fact I got more perfects without using the Chocolate Gelebron. My mastery is 1840. I think these things are a con. ^^ I cooked a LOT and tested with and without by doing batches of 100 fruit cakes each time ... id test an entire 100 with choco Geles then try 100 without the Geles ... I repeated this process multiple times and there was absolutely zero change. I still got the exact same average with or without ...my mastery is maxed pre choco so they add no value to to me. Mastery. Gruel with extract and wisdom. Gelebron choclate is a scam.